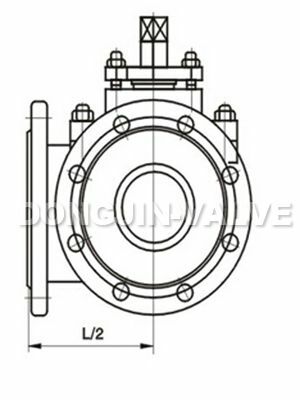 Way ball valve with T-shaped and L-shaped. T-shaped pipe to make three orthogonal interconnected and cut off the third channel, divert traffic, merging effect. L-shaped connecting only two orthogonal channels, can not maintain a third pipe connected with each other only as a distribution function. 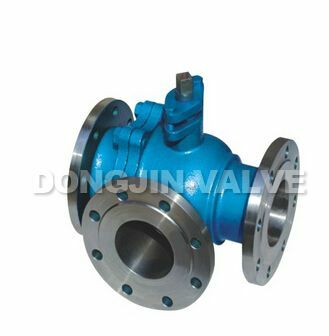 1, three-valve integrated in the structure of a structure, 4 seat sealing surface type, flange connection, high reliability, design and implementation of the lightweight. 2, three core sub-T-ball and L-shaped, long life, flow capacity, small resistance. 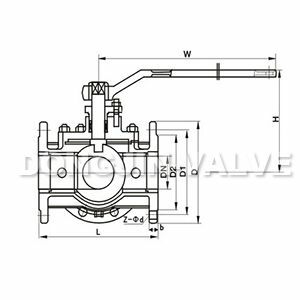 3, valve-action points by single and double acting two types, single-action feature is that once the power source fails, the ball will be in the state of the control system requirements.